Pangrapta decoralis - Hodges#8490 (Decorated Owlet ). Size: approx. 15 mm. Photo: 08/19/14, 10 pm. This moth has its wings not spread out but rather in a semi-vertical position. 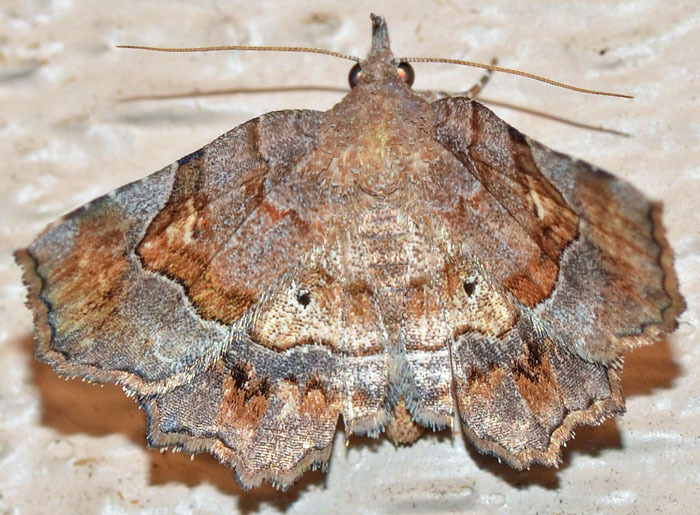 The current species Pangrapta decoralis appears to include at least three varieties.